Having encountered among the public a widespread desire to learn something of the Order of Rosicrucians, and as there is a lack of understanding of the important place occupied by the Brothers of the Rose Cross in our Western civilization, even among our students, it may be well to furnish authentic information upon the subject. Everything in the world is subject to law, even our evolution is thus encompassed; spiritual and physical progression go hand in hand. The sun is the physical light bringer and, as we know, it apparently travels from east to west bringing light and life to one part of the earth after another. But the visible sun is only a part of the sun as the visible body is a small part of composite man. There is an invisible and spiritual sun whose rays promote soul growth upon one part of the earth after another as the physical sun promotes the growth of form, and this spiritual impulse also travels in the same direction as the physical sun; from east to west. Six or seven hundred years B.C., a new wave of spirituality was started near the western shores of the Pacific Ocean to give enlightenment to the Chinese nation and the religion of Confucius is embraced to this day by many millions in the celestial kingdom. Later we note the effect of this wave in the religion of Buddha, a teaching designed to stir the aspirations of millions of Hindus and western Chinese. In its westward course it appears among the more intellectual Greeks in the lofty philosophies of Pythagoras and Plato, and at last it sweeps over the western world, among the pioneers of the human race, where it takes the lofty form of the Christian religion. The Christian religion has gradually worked its way to the westward, even to the shores of the Pacific Ocean and thither the spiritual aspirations are being massed and concentrated. There they will reach a point of culmination, prior to taking a new leap across the ocean and inaugurating a higher and more lofty spiritual awakening in the Orient than now exists in that part of the earth. Just as day and night, summer and winter, ebb and flood, follow each other in unbroken sequence according to the law of alternating cycles, so also the appearance of a wave of spiritual awakening in any part of the world is followed by a period of material reactions, so that our development may not become one-sided. Religion, Art and Science are the three most important means of human education, and they are a trinity in unity which cannot be separated without distorting our viewpoint of whatever we may investigate. True Religion embodies both science and art, for it teaches a beautiful life in harmony with the laws of nature. True Science is artistic and religious in the highest sense, for it teaches us to reverence and conform to laws governing our well-being and explains why the religious life is conducive to health and beauty. True Art is as educational as science and as uplifting in its influence as religion. In architecture we have a most sublime presentation of cosmic lines of force in the universe. It fills the spiritual beholder with a powerful devotion and adoration born of an awe-inspiring conception of the overwhelming grandeur and majesty of Deity. Sculpture and painting, music and literature inspire us with a sense of transcendent loveliness of God, the immutable source and goal of all this beautiful world. Nothing short of such an all-embracing teaching will answer the needs of humanity permanently. There was a time, even as late as Greece, when Religion, Art and Science were taught unitedly in Mystery temples. But it was necessary to the better development of each that they should separate for a time. Religion held sole sway in the so-called "dark ages." During that time it bound both Science and Art hand and foot. Then came the period of Renaissance and Art came to the fore in all its branches. Religion was strong as yet, however, and Art was only too often prostituted in the service of Religion. Last came the wave of modern Science, and with iron hand it has subjugated Religion. It was a detriment to the world when Religion shackled Science. Ignorance and Superstition caused untold woe, nevertheless man cherished a lofty spiritual ideal then; he hoped for a higher and better life. It is infinitely more disastrous that Science is killing Religion, for now even Hope, the only gift of the gods left in Pandora's box, may vanish before Materialism and Agnosticism. Such a state cannot continue. Reaction must set in. If it does not, Anarchy will rend the Cosmos. To avert a calamity Religion, Science and Art must reunite in a higher expression of the Good, the True and the Beautiful than obtained before the separation. Coming events cast their shadows before, and when the Great Leaders of humanity saw the tendency towards ultra-materialism which is now rampant in the Western World, they took certain steps to counteract and transmute it at the auspicious time. They did not wish to kill the budding Science as the latter has strangled Religion, for they saw the ultimate good which will result when an advanced Science has again become the co-worker of Religion. A spiritual Religion, however, cannot blend with a materialistic Science any more than oil can mix with water. Therefore steps were taken to spiritualize Science and make Religion scientific. In the thirteenth century a high spiritual teacher, having the symbolical name Christian Rosenkreuz--Christian: Rose: Cross--appeared in Europe to commence that work. He founded the mysterious Order of Rosicrucians with the object of throwing occult light upon the misunderstood Christian Religion and to explain the mystery of Life and Being from the scientific standpoint in harmony with Religion. Many centuries have rolled by since the birth, as Christian Rosenkreuz, of the Founder of the Rosicrucian Mystery School, and by many his existence is even regarded as a myth. But his birth as Christian Rosenkreuz marked the beginning of a new epoch in spiritual life of the Western World. That particular Ego has also been in continuous physical existence ever since, in one or another of the European Countries. He has taken a new body when his successive vehicles have outlived their usefulness, or circumstances rendered it expedient that he changes the scene of his activities. Moreover, he is embodied today--an Initiate of high degree, an active and potent factor in all affairs of the West--although unknown to the World. He labored with the Alchemists centuries before the advent of modern science. He, through an intermediary, inspired the now mutilated works of Bacon. Jacob Boehme and others received through him the inspiration which makes their works so spiritually illuminating. In the works of the immortal Goethe and the masterpieces of Wagner the same influence meets us. All undaunted spirits who refuse to be fettered by either orthodox science or orthodox religion, who fling away the husks and penetrate to the spiritual kernel regardless of vilification or of flattery, draw their inspiration from the same fountain as did and does the great spirit which animated Christian Rosenkreuz. shows the end and aim of human evolution, the road to be traveled, and the means whereby that end is gained. The black cross, the twining green stem of the plant, the thorns, the blood red roses--in these is hidden the solution of the World Mystery--Man's past evolution, present constitution, and particularly the secret of his future development. It hides from the profane, but reveals to the Initiate the more clearly how he is to labor day by day to make for himself that choicest of all gems, the Philosopher's Stone--more precious than the Kohinoor; nay, than the sum of all earthly wealth! It reminds him how mankind, in its ignorance, is hourly wasting the actual concrete material that might be used in the formation of this priceless treasure. To keep him steadfast and true through every adversity, the Rose cross holds aloft, as an inspiration, the glorious consummation in store for him that overcometh, and points to Christ as the Star of Hope, the "first fruits," Who wrought this marvelous Stone while inhabiting the body of Jesus. Upon investigation it has been found that there was in all systems of Religion a teaching reserved for the Priest-craft and not given to the multitude. The Christ also spoke to the multitude in parables, but explained the inner meaning of these parables to the disciples, to give them an understanding more suited to their developed minds. Paul gave "milk" to the babes or younger members of the community, but "meat" to the strong who had studied more deeply. Thus there has always been an inner and an outer teaching, and this inner teaching was given in so-called Mystery Schools which have changed from time to time to suit the needs of the people among whom they were designed to work. The Order of Rosicrucians is not merely a secret society; it is one of the Mystery Schools, and the Brothers are Hierophants of the lesser Mysteries, Custodians of the Sacred Teachings and a spiritual Power more potent in the life of the Western World than any of the visible Governments, though they may not interfere with humanity so as to deprive them of their free will. As the path of development in all cases depends upon the temperament of the aspirant, there are two paths, the mystic and the intellectual. The Mystic is usually devoid of intellectual knowledge; he follows the dictates of his heart and strives to do the will of God as he feels it, lifting himself upward without being conscious if any definite goal, and in the end he attains knowledge. In the middle ages people were not as intellectual as we are nowadays, and those who felt the call of a higher life usually followed the mystic path. But in the last few hundred years, since the advent of modern science, a more intellectual humanity has peopled the earth; the head has completely overruled the heart, materialism has dominated all spiritual impulse and the majority of the thinking people do not believe anything they cannot touch, taste or handle. Therefore, it is necessary that appeal should be made to their intellect in order that the heart may be allowed to believe what the intellect has sanctioned. As a response to this demand the Rosicrucian Mystery teachings aim to correlate scientific facts to spiritual verities. In the past these have been kept secret from all but a few Initiates, and even today they are among the most mysterious and secret in the Western World. All so-called "discoveries" of the past which have professed to reveal the Rosicrucian secrets, have been either fraudulent, or the result or treachery upon the part of some outsider who may, accidentally or otherwise, have overheard fragments of conversation, unintelligible to all but those who have the key. It is possible to live under the same roof and on terms of the closest intimacy with an Initiate of any school, yet his secret will always remain hidden in his breast until the friend has reached the point where he can become a Brother Initiate. The revealing of secrets does not depend upon the Will of the Initiate, but upon the qualifications of the aspirant. Like all other Mystery Orders, the Order of Rosicrucians is formed on cosmic lines: If we take balls of even size and try how many it will take to cover one and hide it from view, we shall find that it will require 12 to conceal a thirteenth ball. The ultimate division of physical matter, the true atom, found in interplanetary space, is thus grouped in twelve around one. The twelve signs of the Zodiac enveloping our Solar System, the twelve semi-tones of the musical scale comprising the octave, the twelve Apostles who clustered around the Christ, etc., are other examples of this grouping of 12 and 1. The Rosicrucian Order is therefore also composed of 12 Brothers and a 13th. There are other divisions to be noted, however. We have seen that of the Heavenly Host of twelve Creative Hierarchies who were active in our scheme of evolution, five have withdrawn to liberation, leaving only seven to busy themselves with our further progress. It is in harmony with this fact that the man of today, the indwelling Ego, the microcosm, works outwards through seven visible orifices in his body: 2 eyes, 2 ears, 2 nostrils and a mouth, while five more orifices are wholly or partially closed. the mammae, the umbilicus and two excretory organs. The seven roses which garnish our beautiful emblem and the five pointed radiating star behind, are emblematical of the twelve Great Creative Hierarchies which have assisted the evolving human spirit through the previous conditions as mineral, plant and animal, when it was devoid of self-consciousness and unable to care for itself in the slightest degree. Of these twelve hosts of Great Beings, three classes worked upon and with man of their own free wills and without any obligation whatever. These are symbolized by the three points in the star upon our emblem which points upwards. Two more of the Great Hierarchies are upon the point of withdrawal, and these are pictured in the two points of the star which radiate downward from the center. The seven roses reveal the fact that there are still seven Great Creative Hierarchies active in the development of the beings upon earth, and as all of these various classes from the smallest to the greatest are but parts of One Great Whole whom we call God, the whole emblem is a symbol of God in manifestation. The Hermetic axiom says: "As above so below," and the lesser teachers of mankind are also grouped upon the same cosmic lines of 7, 5 and 1. There are upon earth seven schools of the lesser Mysteries, five of the Greater Mysteries and the whole is grouped under one Central Head Who is called the Liberator. In the Order of Rosicrucians seven Brothers go out into the World whenever occasion requires; appearing as men among other men or working in their invisible vehicles with or upon others as needed; yet it must be strictly kept in mind that they never influence people against their will or contrary to their desires; but only strengthen good wherever found. The remaining five Brothers never leave the temple; and though they do possess physical bodies all their work is done from the inner Worlds. The Thirteenth is Head of the Order, the link with a higher Central Council composed of the Hierophant of the Greater Mysteries, who do not deal with ordinary humanity at all, but only with graduates of the lesser Mysteries. The Head of the Order is hidden from the outside world by the twelve Brothers, as the central ball mentioned in our illustration. Even the pupils of the School never see him, but at the nightly Services in the Temple His presence is felt by all, whenever He enters, and is the signal for the commencement of the ceremony. Gathered around the Brothers of the Rose Cross, as their pupils, are a number of "lay brothers"; people who live in various parts of the Western World, but are able to leave their bodies consciously, attend the services and participate in the spiritual work at the temple; they having each and every one been "initiated" in the method of so doing by one of the Elder Brothers. Most of them are able to remember all that happens, but there are a few cases where the faculty of leaving the body was acquired in a previous life of well-doing and where a drug habit or a sickness contracted in the present existence has unfitted the brain to receive impression of the work done by the man when away. The general idea of initiation is that it is merely a ceremony which makes one a member of a secret society; that it may be conferred upon anyone willing to pay a certain price, a sum of money in most cases. While that is true of the so-called initiation of fraternal orders and also in most pseudo-occult orders, it is altogether an erroneous idea when applied to initiations into various degrees of truly occult Brotherhoods, as a little understanding of the real requirements and of their reasonableness will readily make clear. In the first place there is no golden key to the temple; merit counts but not money. Merit is not acquired in a day; it is the cumulative product of past good action. The Candidate for initiation is usually totally unconscious that he is a candidate, he is usually living his life in the community and serving his fellow man for days and years without any ulterior thought until one day there appears in his life the teacher, a Hierophant of the lesser Mysteries appropriate to the country in which he resides. By this time the candidate has cultivated within himself certain faculties, stored up certain powers for service and help, of which he is usually unconscious or which he does not know how to properly utilize. The task of the initiator will now be plain; he shows the candidate the latent faculties, the dormant powers and initiates him into their use; explains or demonstrates to him for the first time how the candidate may awaken the static energy into dynamic power. Initiation may be accomplished by a ceremony, or not, but let it be particularly observed, that while Initiation is the inevitable culmination of prolonged spiritual endeavor, whether conscious or the reverse upon the part of the candidate, it can positively never take place till the requisite inner development has accumulated the latent powers which Initiation teaches how to use dynamically, any more than pulling the trigger can cause an explosion in a gun that has not first been loaded. Neither is there any danger that the teacher may overlook anyone who has attained the requisite development. Each good and unselfish deed increases the luminosity and vibrant power of the candidate's aura enormously, and as surely as the magnet attracts the needle, so will the brilliancy of that auric light bring the teacher. It is, of course, impossible to describe in a book intended for the general public the stages of the Rosicrucian Initiation; to do so would be a breach of faith and it would also be impossible for lack of words to adequately express oneself. But it is permissible to give an outline and to show the purpose of initiation. The lesser Mysteries deal only with evolution of mankind during the Earth Period. In the first three and one-half Revolutions of the life wave around the seven globes the Virgin Spirits had not yet attained consciousness. In consequence of this fact we are ignorant of how we came to be as we are today. The candidate is to have light upon that subject so by the spell of the Hierophants during the period of initiation into the first degree his consciousness is turned towards that page of the memory of nature bearing the records of the first revolution when we recapitulated the development of the Saturn Period. He is still in full possession of his every-day consciousness; he knows and remembers the facts of twentieth Century life, but he is now consciously watching the progress of the evolving host of Virgin Spirits of which he formed one unit during the Saturn Revolution. Thus he learns how the first steps were taken in the Earth Period towards the goal of attainment which will be revealed to him in a later step. Having learned the lesson as practically described in Chapter X, the candidate has acquired first-hand knowledge upon this subject and has come into direct touch with the Creative Hierarchies in their work with and upon man; he is therefore able to appreciate their beneficent labors in the World and is in measure able to range himself in line with them; becoming thus far their co-worker. When the time has arrived for him to take the second degree, he is similarly caused to turn his attention to the conditions of the second Revolution of the Earth Period, and as depicted in the memory of nature; then he watches in full consciousness the progress made at that time by the Virgin Spirits, much as Peter Ibbetson, the hero of a book, "Peter Ibbetson," by George du Maurier; it is well worth reading, for it is a graphic description of certain phases of subconsciousness--watched his child life during the nights when he "dreamed true." In the third degree he follows the evolution of the third or Moon, Revolution, and in the fourth degree he sees the progress made in the half-Revolution we have made of the fourth. There is, however, a further step taken in each degree; the pupil sees in addition to the work done in each revolution also the work accomplished in the corresponding Epoch during our present stay upon globe D, the Earth. During the first degree he follows the work of the Saturn Revolution and its latest consummation in the Polarian Epoch. In the second degree he follows the work of the Sun Revolution and its replica: the Hyperborean Epoch. During the third degree he watches the work as performed in the Moon Revolution and sees how that was the basis of life in the Lemurian Epoch. During the fourth degree he sees the evolution of the last half Revolution with its corresponding period of time in our present stay on Earth; the first half of the Atlantean Epoch which ended when the dense foggy atmosphere subsided, and the sun first shone upon land and sea; then the night of unconsciousness was over, the eyes of the indwelling Ego were fully opened, and he was able to turn the Light of Reason upon the problem of conquering the World. That was the time when a man as we now know him was first born. When in the olden system of initiation we hear that the candidate was entranced for a period of three and one-half days, reference is had to the part of initiation just described, and the three and one-half days refer to the stages gone through, they are not by any means days of twenty-four hours; the actual time varies with each candidate, but in all cases he is taken through the unconsciousness development of mankind during the past Revolutions, and when it is said that he is awakened at the time of sunrise on the fourth day that is the mystical way of expressing that his initiation into the work of the involutionary career of man ceases at the time when the sun rose above the clear atmosphere of Atlantis. Then the candidate is also hailed as a "first-born." Having become familiar with the road we have traveled in the past, the fifth degree takes the candidate to the very end of the Earth Period, when a glorious humanity is gathering the fruits of this Period and taking it away from the seven globes upon which we evolve during each day of manifestation, into the first of the five dark globes which are our habitation during the Cosmic nights. The densest of these is located in the Region of Abstract Thought, and is in reality the "Chaos" spoken of in Chapter XI and in the following pages. This globe is also the Third Heaven, and when Paul speaks of being caught up into the Third Heaven and of seeing things there which he could not lawfully reveal, he was referring to the experiences of an equivalent of this fifth degree in the present Rosicrucian Mysteries. After being shown the end in the fifth degree, the candidate is made acquainted with the means whereby that end is attained during the remaining three and one-half Revolutions of the Earth Period; the four remaining degrees being devoted to his enlightenment in that respect. By the insight he has thus acquired he is able to intelligently co-operate with the Powers that work for Good, and thus he will help to hasten the day of our emancipation. In order to rout a common misconception we wish to make clear to students that we are not Rosicrucians because we study their teachings, nor does even admission to the temple entitle us to call ourselves by that name. The writer, for instance, is only a lay brother, a pupil, and would under no circumstances call himself a Rosicrucian. We know well, that when a boy has graduated from grammar school he is not therefore fitted to teach. He must first go through high school and college, and even then he may not feel the call to be a school teacher. Similarly in the school of life, because a man has graduated from the Rosicrucian Mystery School he is not even then a Rosicrucian. Graduates from the various schools of the lesser mysteries advance into five schools of the greater mysteries. In the first four they pass the four Great Initiations and at last reach the Liberator, where they receive a knowledge concerning other evolutions and are given the choice of remaining here to assist their brothers or enter other evolutions as Helpers. Those who elect to stay here as helpers are given various positions according to their tastes and natural bent. 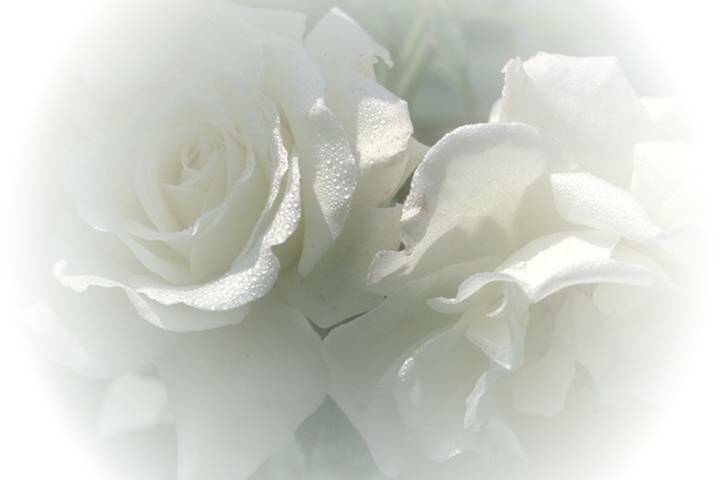 The Brothers of the Rose Cross are among those Compassionate Ones, and it is a sacrilege to drag the Rosicrucian name in the mire by applying it to ourselves when we are merely students of their lofty teachings. During the past few centuries the Brothers have worked for humanity in secret; each night at midnight there is a Service at the temple where the Elder Brothers, assisted by the lay brothers who are able to leave their work in the World (for many of them reside in places where it is yet day when it is midnight in the location of the temple of the Rose Cross), gather up from everywhere in the Western World the thoughts of sensuality, greed, selfishness and materialism. These they seek to transmute into pure love, benevolence, altruism and spiritual aspirations sending them back to the World to uplift and encourage all Good. Were it not for this potent source of spiritual vibration materialism must long ago have totally squelched all spiritual effort, for there has never been a darker age from the spiritual standpoint than the last three hundred years of materialism. Now the time has come, however, when the method of secret endeavor is to be supplemented with a more direct effort to promulgate a definite, logical and sequential teaching concerning the origin, evolution and future development of the World and man, showing both the spiritual and the scientific aspect: a teaching which makes no statements that are not supported by reason and logic; a teaching which is satisfying to the mind, for it holds out a reasonable solution to all mysteries; it neither begs nor evades questions and its explanations are both profound and lucid. But, and this is a very important "But," The Rosicrucians do not regard an intellectual understanding of God and the Universe as an end in itself; far from it! The greater the intellect, the greater the danger of its misuse. Therefore, this scientific, logical and exhaustive teaching is given in order that man may believe in his heart that which his head has sanctioned and start to live the religious life. In order to promulgate this teaching the Rosicrucian Fellowship has been formed, and anyone who is not a hypnotist, professional medium, clairvoyant, palmist or astrologer, may enroll as a Preliminary Course Student by writing to the General Secretary. There is no fee for Initiation, or dues. Money cannot buy our teaching, advancement depends on merit. After completing the Preliminary Course one is put on the Regular Student list for a period of two years, after which if he has become so imbued with the verity of the Rosicrucian teachings that he is prepared to sever his connection with all other occult or religious orders--the Christian Churches and Fraternal Orders are excepted--he may assume the Obligation which admits him to the degree of Probationer. We do not mean to insinuate by the foregoing clause that all other schools of occultism are of no account--far from it--many roads lead to Rome, but we shall attain with much less effort it we follow one of them than if we zigzag from path to path. Our time and energy are limited in the first place, and are still further curtailed by family and social duties not to be neglected for self-development. It is to husband the minim of energy which we may legitimately expend upon ourselves, and to avoid waste of the scanty moments at our disposal, that resignation from all other Orders is insisted upon by the leaders. The world is an aggregate of opportunities, but to take advantage of any one of them we must possess efficiency in a certain line of endeavor. Development of our spiritual powers will enable us to help or harm our weaker brothers. It is only justifiable when efficiency in Service of Humanity is the object. The Rosicrucian method of attainment differs from other systems in one especial particular: It aims, even at the very start, to emancipate the pupil from dependence upon others, to make him Self-Reliant in the very highest degree, so that he may be able to stand alone under all circumstances and cope with all conditions. Only one who is thus strongly poised can help the weak. When a number of people meet in a class or circle for self-development along Negative lines, result are usually achieved in a short time on the principle that it is easier to drift with the tide than to breast the current. The medium is not master of his actions, however, but the slave of a spirit control. Hence such gatherings must be shunned by Probationers. Even classes which meet in positive attitude of mind are not advised by the Elder Brothers, because the latent powers of all members are massed and visions of the inner worlds obtained by anyone there, are partly due to the faculties of others. The heat of coal in the center of a fire is enhanced by surrounding coals, and the clairvoyant produced in a circle, be it ever so positive, is a hot-house plant, too dependent himself to be trusted with the care of others. Therefore each Probationer in the Rosicrucian Fellowship performs his exercises in the seclusion and privacy of his room. Results may be obtained more slowly by the system, but when they appear, they will be manifest as powers cultivated by himself, useable independently of all others. Besides, the Rosicrucian methods build character at the same time that they develop spiritual faculties and thus safeguard the pupil against yielding to temptation to prostitute divine powers for worldly prestige. When the Probationer has complied with the necessary requirements and completed the term of probation, he may send request for individual instruction by the Elder Brothers through the General Secretary. Having formed the Rosicrucian Fellowship for the purpose of promulgating the teaching given in this book, and aiding aspirants on the path of progression, it became necessary to find a permanent home and facilities requisite for doing this work. To this end a tract of land was purchased in the town of Oceanside, CA, ninety miles south of Los Angeles and forty miles north of San Diego, the southwestern-most city of the United States. This tract occupies a commanding site having a most wonderful view of the great Pacific Ocean to the west and the beautiful snow capped mountains in the east. Southern California offers exceptional opportunities for spiritual growth, because of the ether atmosphere being denser than in any other part of the world and Mount Ecclesia, as the Rosicrucian Fellowship Headquarters are called, is particularly favored in this respect. The work at Headquarters was begun toward the end of 1911. To date (1973) numerous buildings have been erected, some of which now no longer exist. The Pro-Ecclesia, or Chapel, in which two 15-minute services have been held daily since its dedication in December, 1913, was thoroughly renovated in 1962. A devotional service with lecture continues to be conducted on Sundays. A two-story Administration Building was completed in 1917, and renovated in 1962. On the second floor are offices for the various departments: Esoteric, Correspondence Courses, Editorial, Foreign Languages, and Accounting. On the first floor are the Shipping Department and the Print Shop, where Lessons, Rays, pamphlets, etc., are printed. An offset press was installed in 1972. The Dining Hall was built in 1914, added to in the late 30's, and renovated in 1962. Vegetarian meals are served. 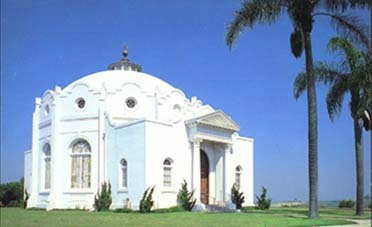 The Healing Temple, where a healing service is conducted each evening, was completed in 1920. Rose Cross Lodge was built in 1924, for the use of guests and workers. It is now used largely for storing books. The Sanitarium Building was opened in 1939 and used for a number of years to treat patients suffering from non-contagious diseases. It is now our Guest House, used by workers and members. Numerous cottages built since 1962, and some renovated ones provide living quarters for workers. The Healing Dept. Building was erected in 1940. Here secretaries conduct our healing work. In addition to publications of The Rosicrucian Fellowship noted elsewhere there are three correspondence courses offered on a freewill basis: Rosicrucian Philosophy, Bible Interpretation, and Astrology. Information concerning these is furnished upon request. The Evening exercise, Retrospection, is of greater value than any other method in advancing the aspirant upon the path of attainment. It has such a far-reaching effect that it enables one to learn now, not only the lessons of this life, but lessons ordinarily reserved for future lives. After going to bed at night the body should be relaxed. Then the aspirant begins to review the scenes of the day in reverse order, starting with the events of the evening, then the occurrences of the afternoon, of the forenoon, and the morning. He endeavors to picture to himself each scene as faithfully as possible--seeks to reproduce before his mind's eye all that took place in each pictured scene with the object of judging his actions, of ascertaining if his words conveyed the meaning he intended or gave a false impression, or if he overstated or understated in relating experiences to others. He reviews his moral attitude in relation to each scene. At meals, did he eat to live, or did he live to eat--to please the palate? Let him judge himself and blame where blame is due, praise where merited. People sometimes find it difficult to remain awake till the exercise has been performed. In such cases it is permissible to sit up in bed till it is possible to follow the ordinary method. The value of retrospection is enormous--far-reaching beyond imagination. In the first place, we perform the work of restoration of harmony consciously and in a shorter time than the desire body can do during sleep, leaving a larger portion of the night available for outside work than otherwise possible. In the second place, we live our purgatory and first heaven each night, and build into the spirit as Right Feeling the essence of the day's experience. Thus we escape purgatory after death and also save time spent in the first heaven. And last, but not least, having extracted day by day the essence of experiences which make for soul growth, and having built them into the spirit, we are actually living in an attitude of mind and developing along lines that would ordinarily have been reserved for future lives. By the faithful performance of this exercise we expunge day by day undesirable occurrences from our subconscious memory so that our sins are blotted out, our auras commence to shine with spiritual gold extracted by retrospection from the experiences of each day, and thus we attract the attention of the Teacher. Concentration, the second exercise, is performed in the morning at the very earliest moment possible after the aspirant awakes. He must not arise to open blinds or perform any other unnecessary act. If the body is comfortable he should at once relax and commence to concentrate. This very important, as the spirit has just returned from the desire world at the moment of waking, and at that time the conscious touch with that world is more easily regained than at any other time of the day. We remember from Lecture No. 4 that during sleep the currents of the desire body flow, and its vortices move and spin with enormous rapidity. But as soon as it enters the dense body its currents and vortices are almost stopped by the dense matter and the nerve currents of the vital body which carry messages to and from the brain. It is the object of this exercise to still the dense body to the same degree of inertia and insensibility as in sleep, although the spirit within is perfectly awake, alert, and conscious. Thus we make a condition where the sense centers of the desire body can begin to revolve while inside the dense body. Concentration is a word that puzzles many and carries meaning to but few, so we will endeavor to make its significance clear. The dictionary gives several definitions, all applicable to our idea. One is "to draw to a center"; another from chemistry, "to reduce to extreme purity and strength by removing valueless constituents." Applied to our problem, one of the above definitions tells us that if we draw our thoughts to a center, a point, we increase their strength on the principle that the power of the sun's rays is increased when focused to a point by means of a magnifying glass. By eliminating from our mind for the time being all other subjects, our whole thought power is available for use in attaining the object or solving the problem on which we are concentrating; we may become so absorbed in our subject that if a cannon were fired above our heads we would not hear it. People may become so lost in a book that they are oblivious to all else, and the aspirant to spiritual sight must acquire the faculty of becoming equally absorbed in the idea he is concentrating upon, so that he may shut out the world of sense from his consciousness and give his whole attention to the spiritual world. When he learns to do that, he will see the spiritual side of an object or idea illuminated by spiritual light, and thus he will obtain a knowledge of the inner nature of things undreamt of by a worldly man. The subject of concentration may be any high and lofty ideal, but should preferably be of such a nature that it takes the aspirant out of the ordinary things of sense, beyond time and space; and there is no better formula than the first five verses of St. John's gospel. Taking them as a subject, sentence by sentence, morning after morning, will in time give the aspirant a wonderful insight into the beginning of our universe and the method of creation--an insight far beyond any book learning. An ancient legend says that digging for treasure must be done in the stillness of night and in perfect silence; to speak one word until the treasure is safely excavated will inevitably cause it to disappear. That is a mystic parable which has reference to the search for spiritual illumination. If we gossip or recount to others the experiences of our concentration hour, we lose them; they can not bear vocal transmission and will fade into nothingness. By meditation we must extract from them a full knowledge of the underlying cosmic laws. Then the experience itself will not be recounted, for we shall see that it is but the husk which hid the kernel of worth. The law is of universal value as will be at once apparent, for it will explain facts in life, and teach us how to take advantage of certain conditions and to avoid others. The law may be freely stated at the discoverer's discretion for the benefit of humanity. The experience which revealed the law then will appear in its true light as of only passing interest and unworthy of further notice. Therefore the aspirant should regard everything that happens during concentration as sacred and should be keep it strictly to himself. Finally, beware of regarding the exercises as a burdensome task. Estimate them at their true worth; they are our highest privileges. Only when thus regarded can we do them justice and reap the full benefits from them. Question No. 31: Is it wrong to interfere with karma, or should we assert our divinity and rise above circumstances by affirmation of our Godhood? Answer: A question like the above was asked Mr. Heindel at one of his recent lectures in Los Angeles and he answered about as follows: While all great religions are God-given, there is a Western religion for the Western people as well as Hinduism for the people of India and I can see no good reason why we should copy their terminology and force people here to learn Sanskrit when we have an excellent language of our own, with terms capable of explaining everything. To make the matter clear, we will take an instance which occurred a number of years ago. There was at that time a controversy in a certain society which makes the mistake of promulgating Eastern teachings and using their terms here in the West. The dispute was about the word "Avyaktam". Not even the Hindus are certain about the meaning of their terminology. Tons of paper and barrels of ink were used to settle the controversy and the following seems to be the definition upon which they finally compromised: "Avyaktam" is Parabraham clothed in Mulaprakriti, from which its UPAHHIS are made during the Manvantara and into which they are again resolved on arrival of the Arolaya." Mr. Heindel then said that he hoped the audience understood the meaning of "Avyaktam". When the audience laughed and shook their heads, the speaker expressed himself as being sorry for their lack of understanding of such a highly learned explanation, he would try the ordinary, garden variety of English and see if that would explain. "Avyaktam is Deity clothed in Cosmic Root Substance, from which its vehicles are made during the Day of Manifestation and into which they again resolve on arrival of the Cosmic Night." When the audience had declared they comprehended this explanation, Mr. Heindel said it is the same with the word "karma". Everybody in the U.S. and a large part of the world besides, knows what a "debt of destiny" is without explanation and there are a number of other English words which may be used with better effect than the Hindu word karma, which is meaningless to the majority of Westerners. The speaker also held that such words as "astral" and "incarnation" were out of place because they have been conceived to mean something not warranted. He was sorry that the word "incarnation" had been used in our earliest literature, notably in the Cosmo. The Elder Brothers who gave him the teaching in German always used the word "Wiedergeburt", which means rebirth, and there is a great deal of difference between the two terms which may not appear at first sight. It is possible for a Spirit to incarnate in an adult body by ousting the owner from his vehicle, by obsessing the body, but when we say rebirth, there is, and can be, only one meaning. In view of these facts he urges upon students never to use the term "incarnation" but always the word rebirth. From The Rosicrucian Philosophy in Questions and Answers, Vol. 2, quoting an article by Mrs. Heindel in the March, 1915 "Echoes". The Rosicrucian Cosmo-Conception was published in 1909. 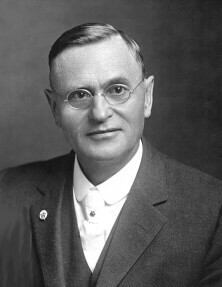 Many of the examples used by Max Heindel were taken from his era using words and definitions from the early twentieth century. Some of the wording in this chapter raises concerns; however, we should not allow this to distract us from the underlying message. The Rosicrucian Teachings promote Universal Brotherhood. We have added this addendum in order to provide additional information relating to Races and Race-religions, and their relationship to spiritual development. Additional references are listed at the end. Growth never ceases. In the twenty-first century, we can look back and see the tremendous growth that has taken place in our world. These changes have taken place in accordance with spiritual principles outlined in this book. There's but one way that leads to heaven above. The work at Headquarters was begun toward the end of 1911. To date (1998) numerous buildings have been erected, some of which now no longer exist. The Pro-Ecclesia, or Chapel, in which two morning and afternoon services have been held daily since its dedication in December, 1913, was thoroughly renovated in 1962. A devotional service with lecture continues to be given on Sundays. A two-story Administration Building was completed in 1917, renovated in 1962, with an addition to the Shipping Department completed in 1976. The second floor provides offices for the Esoteric and Education Departments as well as Foreign Language and Astrology sections. In the earlier days, this floor served as Mr. and Mrs. Heindel's living quarters. On the first floor are the Shipping Department, photography room, bindery and print shop, where monthly lessons, the "Rays" magazine, pamphlets, and some books are printed. The Dining Hall was built in 1914, added to in the late 30's, renovated in 1962, with a sprouting room added in 1978. Here vegetarian meals are served to the workers and general public. In the Healing Temple, or Ecclesia, a healing service has been conducted each evening since the day of its dedication on Holy Night, December 24, 1920. The Sanitarium Building was opened in 1939 and used for a number of years to treat patients suffering from non-contagious diseases. It is now called the Guest House and is used by workers and Fellowship members as living quarters and visitor accommodations. Numerous cottages have been built and renovated over the years to provide worker residences, the most recent structure being a two-level six-plex completed in 1976. The Healing Department Building was erected in 1938. Built in the shape of a cross, it contains offices for the secretaries, who respond to requests for spiritual healing, and a healing Chapel in which a healing service is held at 8:45 am Monday through Friday. Adjacent to the Administration Building is a one-story structure containing the Business Offices, which include the Editorial Office for the "Rays from the Rose Cross" magazine (which was published for the first time in 1911 by Mr. Heindel), the Accounting Office, and Retail and Dealer Sales.